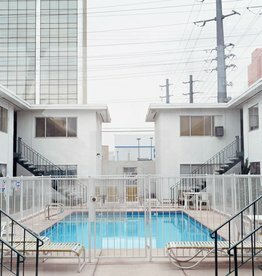 For weeks Marie-José Jongerius travelled through California, looking for a subject that would fit her artistic aim. She regularly made use of the numerous hotels along the state’s highways. Like modern oases, almost all hotels had a swimming pool. One can point to the hot climate as an obvious reason for this. But another reason might be found in the idea of California is the modern equivalent of paradise. The main characteristic of a paradisiacal place is the abundant presence of sweet water, hence the title of the series: Sweet Water. 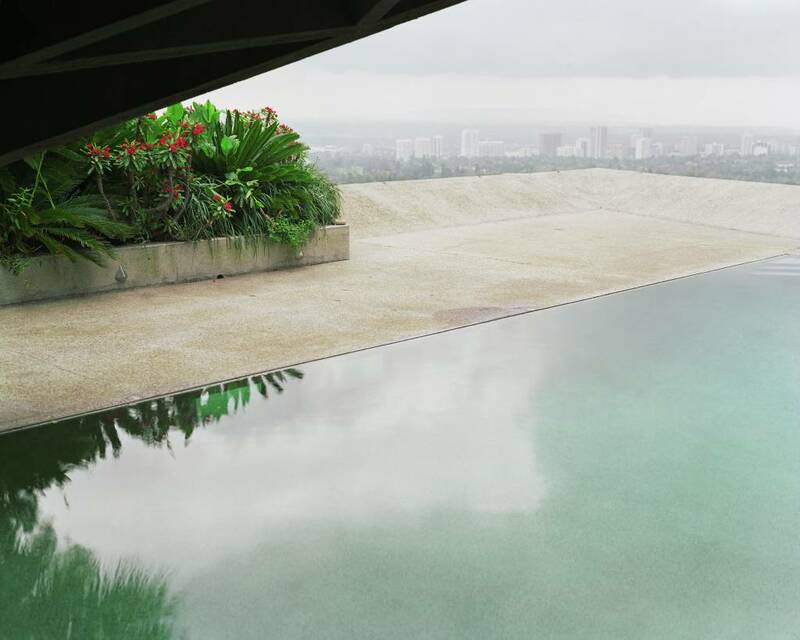 In her series of swimming pools, the outside world is hardly visible. She focused on the pool itself and the behaviour of its inhabitants. In the end, when looking at the pictures, the feeling we have is of loneliness. Even on earth, paradise is a tragic place. The way Marie-José Jongerius made use of the blue field within the framework of the picture is indicative of her great compositional skill. Marie-José Jongerius (b. 1970) studied at the Koninklijke Academie van de Beeldende Kunsten in The Hague and at the Kunst Academie AKV / St. Joost in Breda. In addition to various exhibits in the Netherlands at places like Nederlands Fotomuseum in Rotterdam, Droog in Amsterdam, Foto Festival Naarden her work got exhibited in The ADC Gallery in New York and the Riverside Art Museum in Los Angeles. Her latest book Edges of the Experiment (2015) has been nominated for the Arles Book Award 2015, Finalist for a Dutch Design Award 2015 and on the shortlist for the Infinity Award in the category critical writing and research 2016.